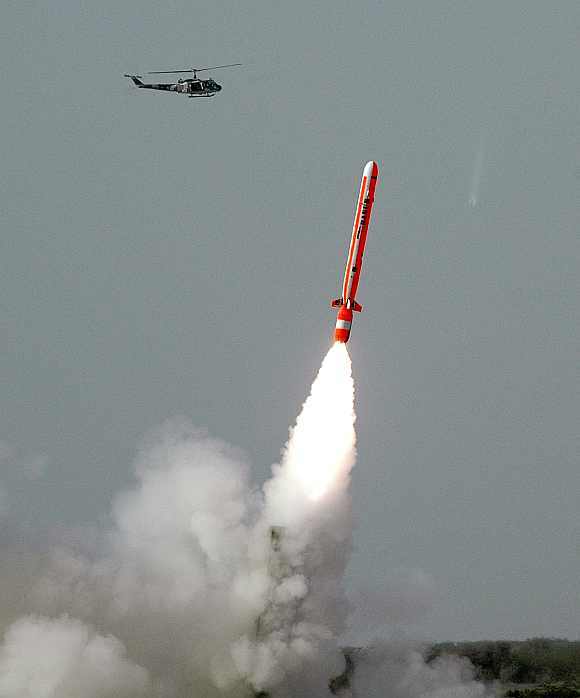 Pakistan on Tuesday successfully test fired the nuclear-capable Hatf-VII cruise missile with a range of 700 km, the latest in a series of tests of missiles that can hit targets deep within India.The military said the test, conducted at an undisclosed location, was successful. This was the fifth missile test by Pakistan since late last month. "The test will consolidate Pakistan's strategic deterrence capability and further strengthen national security," the military said in a statement.The military described the Hatf-VII or Babur as an indigenously developed multi-tube cruise missile system. The missile is a "low flying, terrain-hugging" weapon with "high manoeuvrability, pinpoint accuracy and radar avoidance features". The Hatf-VII can carry nuclear or conventional warheads and has stealth capabilities.It incorporates the "terrain contour matching" and "digital scene matching and area co-relation" technologies, which enhance the missile's precision and effectiveness manifold, the military claimed. The missile was launched from a multi-tube missile launch vehicle that "significantly enhances the targeting and employment options" of the Hatf-VII in both conventional and nuclear modes, the statement said. The test was witnessed by Joint Chiefs of Staff Committee Chairman Gen Khalid Shameem Wynne, Strategic Plans Division Director General Lt Gen (retired) Khalid Ahmed Kidwai, senior officers of the armed forces and strategic organisations and scientists. Pakistan President Asif Ali Zardari and Prime Minister Yousuf Raza Gilani congratulated the scientists and engineers, the statement said. Pakistan has tested a wide array of missiles since late last month. On April 25, it tested an improved version of the nuclear-capable Hatf-IV intermediate range ballistic missile with the range of 1,000 km. The launch came just six days after India tested the Agni-V missile with a range of 5,000 km. 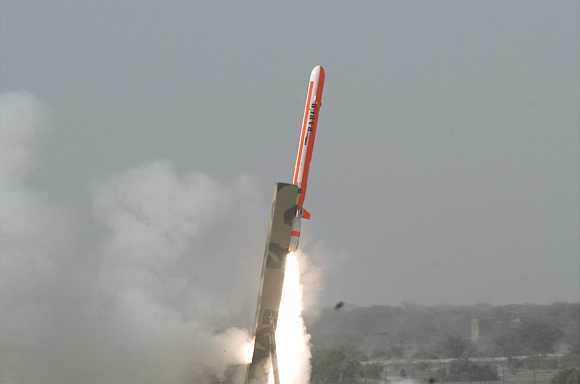 On May 10, Pakistan tested the nuclear-capable Hatf-III ballistic missile with a range of 290 km. The launch was conducted at the conclusion of an annual field training exercise of the army strategic force command. The nuclear-capable Hatf-IX missile with a range of 60 km was tested on May 29, reflecting the Pakistani military's thrust on developing tactical weapons aimed at deterring India's purported Cold Start doctrine. The Hatf-IX missile system possesses shoot and scoot attributes. 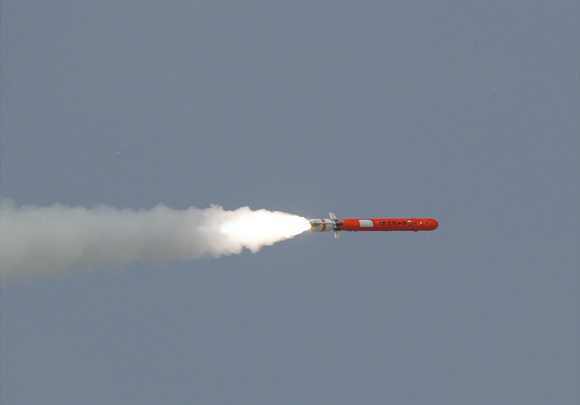 On May 31, the military tested a version of the Hatf-VIII cruise missile with a range of over 350 km.The military said this test had helped Pakistan "achieve strategic standoff capability on land and at sea".